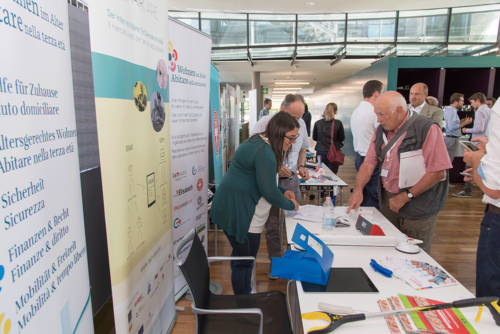 On July 4th, FairCare was represented by various partners on the AAL-Summit “SMARTER LIVES”. 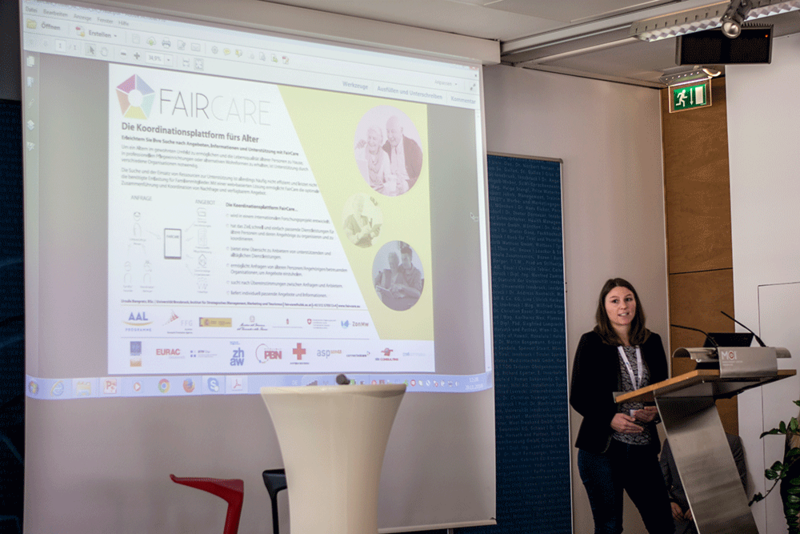 ASP Servizi represented FairCare on their booth of “Wohnen im Alter” and informed about the aims and components of the Services and the idea behind FairCare. Furthermore, it was presented during the Elevator pitches by Wohnen im Alter. Moreover, FairCare was represented by UIBK and EURAC on their joint booth, as well as a representative of PBN was present to promote FairCare. More information on Smarter Lives you can find here.